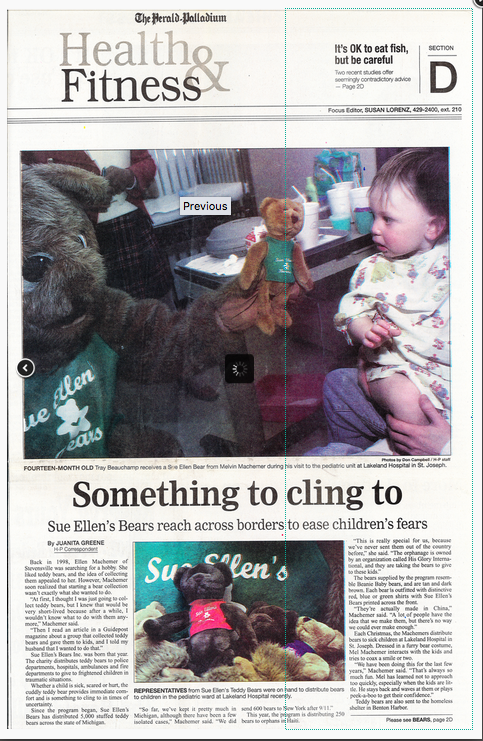 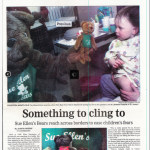 In 1998, Mel and Ellen Machemer founded Sue Ellen’s Bears as a tribute to the daughter they loved and lost – Sue Ellen Machemer. 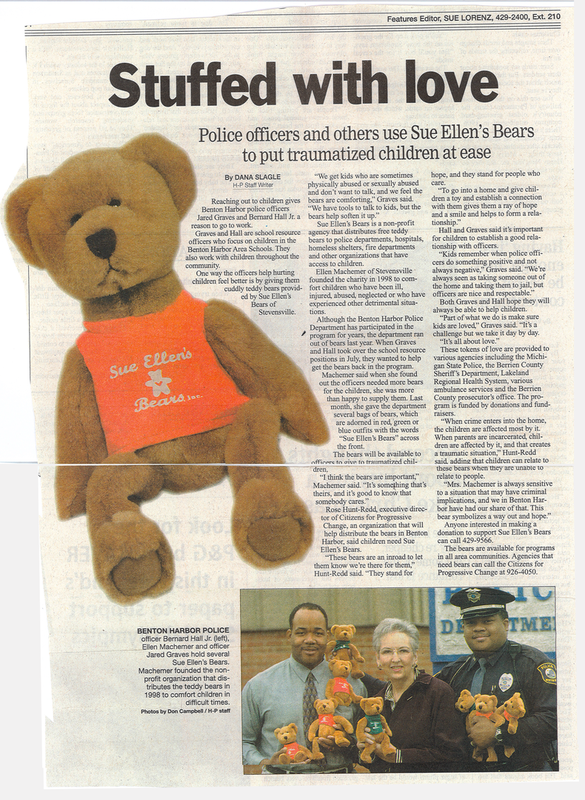 Working side-by-side with Sue Ellen’s parents, Michael Johnson’s family played active roles on the Sue Ellen’s Bears Board, advocating for child welfare, assisting with presentations to schools, providing administrative support and developing marketing materials. 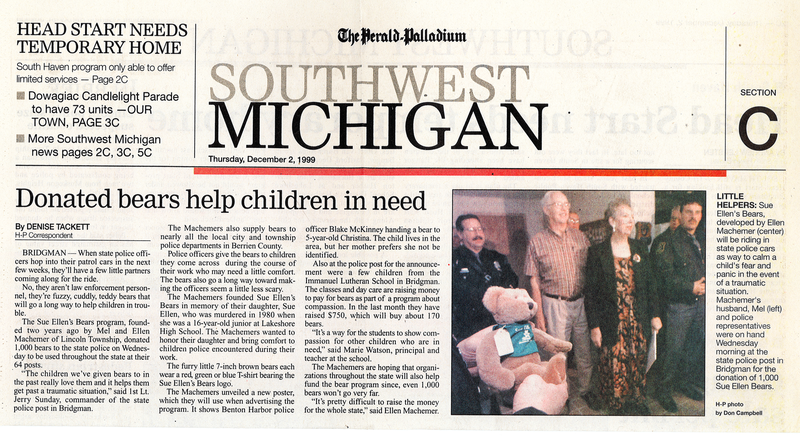 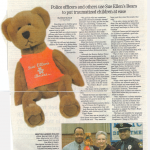 The program mission “To help comfort and ease the pain of any child involved in a traumatic situation, and to pay tribute to Sue Ellen, a caring daughter who loved bears,” helped thousands of children in Michigan and overseas.